If you are taken in by the mass media you would think that the surface of the planet you live on is heating up rapidly and that you are in imminent danger for your life, despite the evidence of your own eyes that this is not so. The reality is that global warming is a multi trillion pound global industry that we pay for with our taxes and levies on our bills. The fuel for this is a pseudoscience, where if academics say that there is warming they get lots of money and if they tell the truth they get nothing. So this is an issue where when the media put a “scientist” in front of you it is best to be incredibly cynical indeed. In fact there is no global warming. 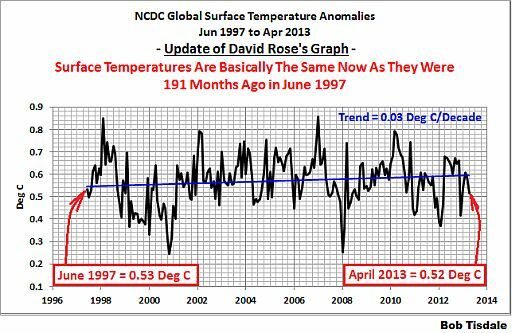 Temperatures have not gone up for 15 years. The warmist pseudoscientists call this the “pause” and come up with all sorts of far fetched ideas to explain it. They cannot handle the fact that they have built up this immense parasitic industry on a pack of lies. In fact both the Arctic and Antarctic ice caps are increasing in size. If anything we should be starting to worry about global cooling. The BBC are not reporting this properly. In 1997 Charles J. Moore was sailing across the Pacific when, in a lightly frequented area he came across large quantities of plastic debris in the upper water column. He sailed on and the next day the debris was still there. 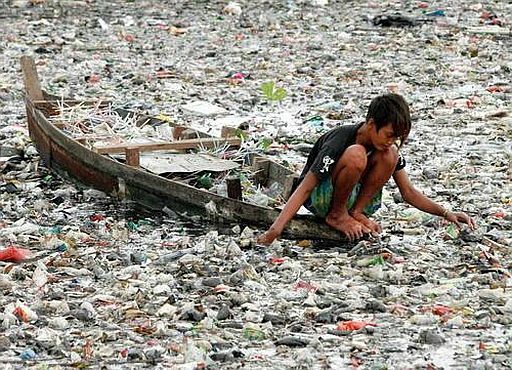 And the next day and so on, he had discovered the great Pacific garbage patch, an area of ocean where floating, non biodegradable human waste ends up, forced there by the actions of the tides, currents and winds. 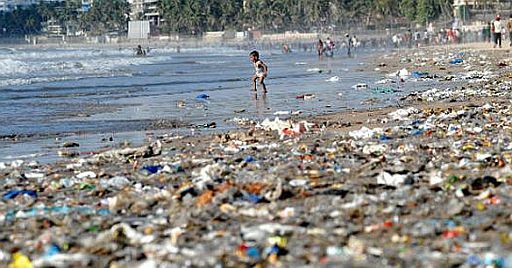 It is huge, some say twice the size of North America and it is estimated to contain 100 million tons of plastic. We now know that here is also a North Atlantic garbage patch which is hundreds of kilometres across. 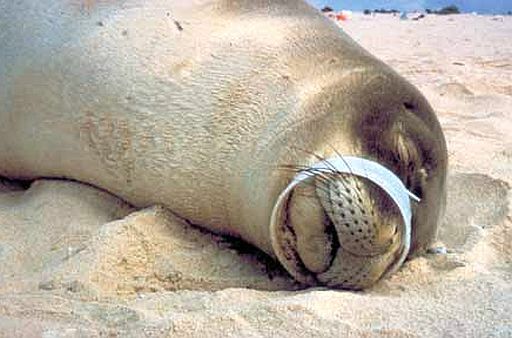 Nearly all plastics do not exist naturally in nature, they are man made, so all our eco systems are not adapted to handle them. The vast majority of plastics do not biodegrade, once we have made them they are on the planet for ever, unless they are burned or recycled. This includes the synthetic fabrics that many of our clothes are now made from. Every time they are washed they shed thousands of plastic molecules into the environment. The plastic doesn’t just sit in our oceans, the actions of the water and the sun break it up until it is eventually down to the size of individual molecules, whereupon it enters the food chain. Initially it is in plankton, but that is eaten by bigger organisms and so on up the food chain until it is in what we eat. Which is not good because we are not evolved to have molecules of plastic distributed around our bodies. One bad effect is that these plastics can mimic the effect of human hormones, chemicals that act as catalysts for chemical reactions. This can cause havoc with the fundamental chemistry of our bodies. Another is that they permanently clog up our livers. Now you have read them you are numb with shock, there is real, clear and present danger to humanity. Where is Al Gore when you really need him? Already a third of British coastal fish have plastic in them. Eat them and you will have plastic in you. We are rapidly heading for a situation where all the seafood from all the world’s seas will be unsafe to eat. Then we will be unable to feed the planet. This is not hypothetical, this is real, as you will know from reading the science above. It is apocalyptical. Also the whole world needs to act and it needs to act immediately. The action needs to be in two areas. Firstly we need to stop more plastic getting into the environment. This means an immediate ban on all plastics in packaging. All single use plastics, like medical syringes. All use of small plastic beads in cosmetics, abrasives etc And a recycling regime for all plastics that are permitted that is 100% perfect. Where 100% recycling cannot be demonstrated plastics must be illegal. Secondly we need an immense global effort to remove all the many hundreds of millions of tons of waste plastics that are already in the environment. In the sea as well as in the land. The cost will be enormous, but it is essential for the future of humanity. All this is not pseudoscience like global warming, it is a provable, imminent danger to everyone on this planet. We have no option but to act. Recently I read that a teenage girl had won an award for inventing a chemical that will make plastic bio-degradable . I thought at the time that if such a chemical can now be produced , it has the potential to make the world a much more beautiful place than it might be , for future generations . Not to mention the salvation it potentially represents for wildlife . Now I will have to hunt down that article about the girl’s brilliant invention . If I find it , I’ll get back to you . Setting aside your opinions on global warming, you’re actually right about plastics. This is refreshing. Previous Post: Hong Kong Vs Cuba. Capitalism Vs Socialism.